Urwand does not cover how much antisemitism was in the USA during the 30’s and how anxious the movie moguls were. Leo Frank was lynched in 1915 for a murder he did not commit. Very few Jewish men forget about that in the 1930’s. Joseph Kennedy’s little talk in 1940 scared them. Father Couglin on the radio scared Jews all over the USA. The filmmakers corporations were headquartered in NYC because the only banks that would lend them money were the few banks that were controlled by Jews here in NYC. All the big banks were happy to accept their deposits, but NONE but those few in NYC would lend them money. Except for NYC, from around 1900 until WW2, Jewish boys in the USA used to be chased down by good Catholic boys around Easter, have their pants pulled down and would then be held down on the ground with their limbs splayed out. Then a half-dozen or more uncircumsized boys would piss on the Christ killer. That’s the type of thing Jewish men never forgot, although they would never talk about it. Entire industries developed because banks would not lend to Jews. Factoring and commercial finance began in NYC because banks would not give working capital loans to Jewish owned firms. Even RCA and Sears could not get loans from banks and insurance companies in the 1920’s and 1930’s because Julius Rosenwald at Sears and Sarnoff at RCA were well known Jews. Instead, RCA and Sears sold bonds through Goldman Sachs and the like. I have never seen the charges from bigguyboleslaw cited in academic sources, but they are entirely plausible to me. If you have contradictory evidence, please comment. Seems to me mass media is inherently authoritarian & moguls would be expected to be pro-Nazi, in the same way that “Bible epics” favor the Egyptian or Roman visuals. From Star Wars to Harry Potter, the Nazi-ish ‘evil empire’ continues to inspire our filmmakers. The ragtag rebel who takes down the empire is a sentimental fiction; as the credits roll we remain fascinated by the gargantuan state machines. I’d put Mircea Eliade’s Nazism, and possibly Ingmar Bergman’s, in a similar light: the Hollywood mode of storytelling requires a dominating master (like in “Funny Girl”). Note media theorist Marshall McLuhan in 1938 is indulgent toward Nazism, seeing a goal he shares of eliminating the “Peter Pan” state encroaching on modern civilization (“the condition of perpetual fantasy and emotional immaturity”). To urpower: That is a speculation with little basis in fact and in history. Just the facts ma’am. I wish to read more about the pro-Nazi anti-Semite Walt Disney but good luck with that. (From the unauthorized bio of him: “You could buy a copy of Mein Kampf on any newsstand in Hollywood.”) The entertainment culture like the literary imagination itself is devoted to the strong man, the Ahab if you will. Or dances around it blithely- cf. Diana Vreeland’s darting by a bloodbath during a trip to Germany. Where America’s “thought leaders” were against Hitler, as with Dorothy Parker or Lillian Hellman, etc., it was out of concern he might prevail over their beloved Stalin. I plan to read Urwand’s book & assume the reality was much worse. Clare, watch this sentence. Could be interesting, could be dangerous “So far, besides the constraints of an international market, I have found through reading, the Will Hays Office (founded by Joe Kennedy), Joseph Breen and the Legion of Decency, and the Office of War Information (described in detail in Koppes and Black).” … My input: In terms of the financiers, the early movie-moghuls were neither (Jewish) heroes nor (Jewish) villains. Certainly, none of them would have had enlightening answers to the question, “What is a Jew? 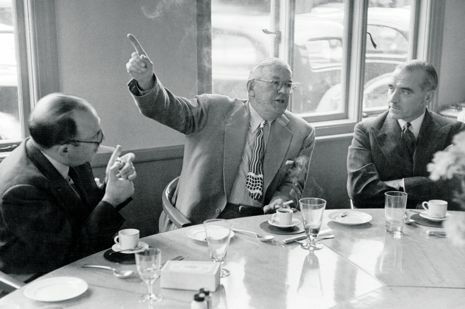 and what institutional constraints have figured in the censorship of movies?”‘ They did finance some beautiful movies (several or more of them written by Hecht) many of which are as beautifully Greek, tragic, and philosophical as they are Jewish, fatalistic, and utterly American. America in 1920 is the long tail of the Mediterranean Melting Pot (ca. 4th century B.C.). Anti-semitism would, however, prove very useful during the 1950s Red Scare (beginning in the 40s) as a state-based opportunity to expropriate a significant portion of the legacy of Jewish ownership of media production, distribution, and exhibition in order to lay the groundwork for what would become the late 20th century’s integrated (and actively censored) tv and film industries. It started with the DOG persecution of FOX in ca. 1928 (accompanied by the introduction of the Anglo-Saxon PCA) amidst the wildly immigrant, permissive, and inventive world of early Hollywood. 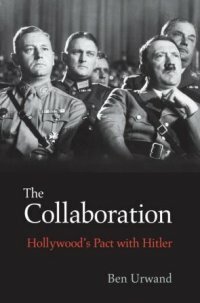 Kennedy–no matter how you judge him, overall–probably helped to preserve some of the remnants of the anti-conservative Hollywood as it had been before the impact of the kind of state interventions threatened in 1920 and then actively implemented beginning in 1948 (Paramount Decrees). In any case, the world was never the same after the threat of government intervention descended on 1920s Hollywood’s filmic way of exercising free speech. The FCC is the leading reminder today of the kind of state-authorized Bible-thumping that censored and disciplined early Hollywood (and Radio too, for that matter). Since this comment was posted, I have read Steven Alan Carr’s Hollywood and Antisemitism (Cambridge UP, 2001). Carr certainly demonstrates the squelching effect of “Bible-thumping” (as Mr. Mark puts it) holdovers from the 19th century. But Carr also demonstrates that “the Hollywood question” was really about anti-Semitism as dispensed by Henry Ford, and by the forgers of The Protocols of the Elders of Zion. My point was that Urwand’s book is deeply anti-Semitic, and further reviews of mine will detail its failure as anything resembling responsible history. The jihadists will love it. As for anti-Semitism and McCarthy-ism, the Communist party “Jews” gave up any religious affiliation as part of their joining proletarian internationalism. And the opening up of the Soviet archives briefly after 1989, shows that the “witch-hunters” were usually correct.